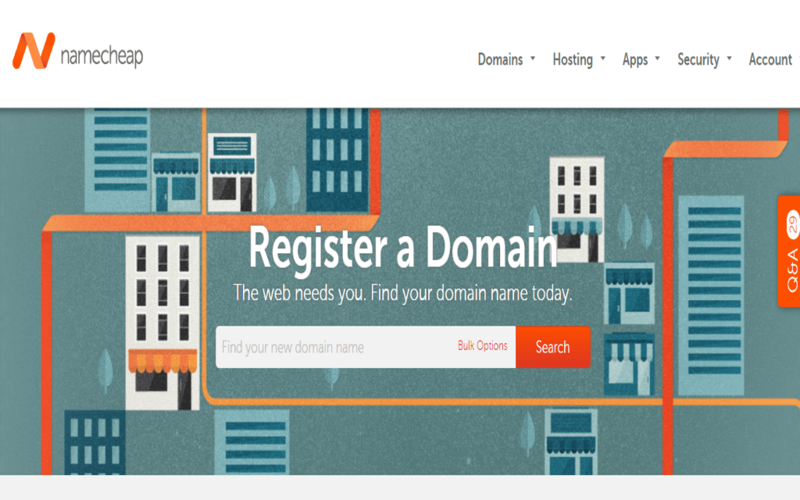 Namecheap.com established itself as a domain name registry but also offers a modest range of web hosting plans. Started in 2000 and based out of Los Angeles, NameCheap.com still has the same founder acting as CEO. 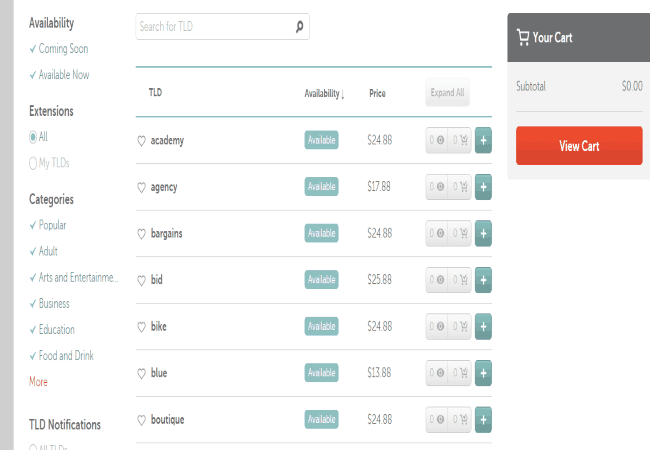 Namecheap.com offers relatively affordable plans, starting at $10.69/yr for .com domains. Though most domain name registrar offer intro pricing that does not always reflect the actual price, namecheap.com remains at $10.69/year when the year is done. Discounts often appear for as low as $1.69/yr for .xyz or $5.69 for .com but these prices will rise when the first year is over. with wide range of domain registration service, Namecheap.com provide all what you need to find and register the domain you want, NameCheap offers the option to shop by generic TLDs like .com, .net of country code TLDs like .ca .uk or to shop by new TLDs extensions which you can filter by Categories for example if you are looking for shopping extension you can find many TLDs in this category like .bargains, .bid and more. Also Namecheap.com offer transfer domain service if you want to move your domain from your old registrar and they provide a Marketplace to buy and sell domain, you can find new available domain names or Premium Domains that you can buy with affordable price in addition Namecheap.com offer personal domain service if you want to create a brand presence of your name online or send and receive email using your name. The hosting division of the company is considerably newer than its domain name section, only launching in 2006. It is offering competitive prices for shared hosting, VPS hosting and dedicated servers but does not offer telephone support. 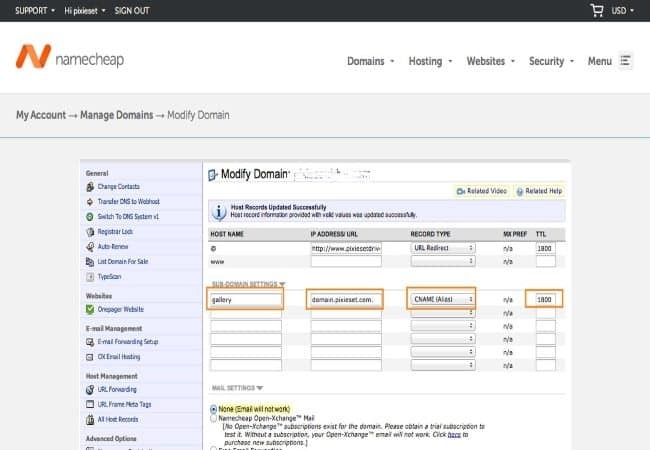 Namecheap.com offers easy domain management with several features, including customization parking page, name-server registration and domain push features. 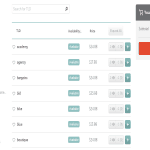 NameCheap.com also offers WhoIsGuard privacy protection for $3.95/yr and several SSL certificate to protect your visitors sensitive for example they offer Comodo PositiveSSL certificate for $9.00/yr, or GeoTrust for $10.95/yr though this is only an intro price. NameCheap.com offers super fast and friendly chat support but no telephone support and has trouble with the auto-renewal option on occasion. The design can be a bit bare bones, which can be good for some and bad for others but their knowledge base is well put together and their solid suggestion engine coupled with a straightforward checkout process makes it an excellent investment if you want to register a domain .